Last Friday released Zoya Akhtar’s production Dil Dhadakne Do is doing well at box office from its very day. This multi starrer movie featuring fames of Bollywood like- Priyanka Chopra, Ranveer Singh, Anushka Sharma, Farhan Akhtar, Anil Kapoor & Shefali Shah. No doubt Priyanka has stolen the show, received huge appreciation because of her charm. Ranveer & Anushka have also over come with their flop sequences and have given their first successful movie of year 2015. 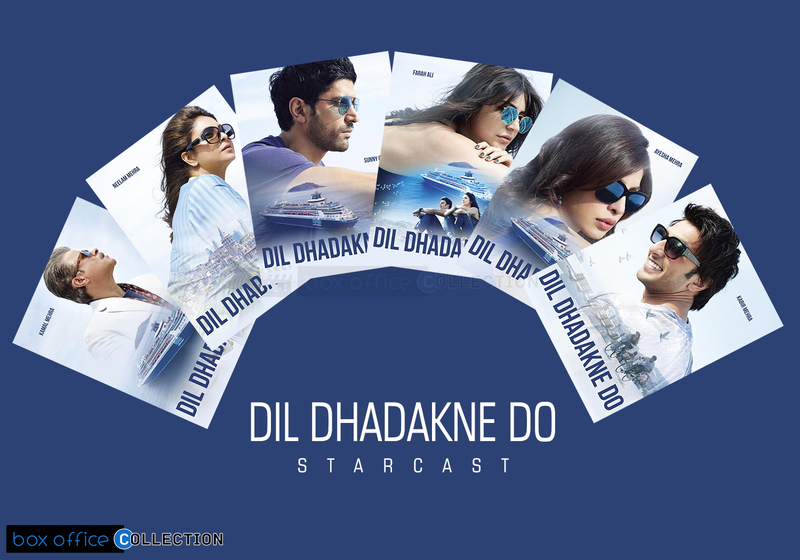 Earlier as per the reports from critics and Bollywood analysts, Dil Dhadakne Do was not expected to do such better performance. But denying all the reports, movie has taken good start in its first weekend. Yes, weekdays showed drop in business graph but that is normal, weekdays always results in the same. Till yesterday, movie has completed its 5 days at box office and raked total 47.91 crores from Indian screens only. Today it is its 6th day of release and as per the received reports, the start was almost similar as yesterday but little bit drop is expected in business. The recorded collection of the movie on its 6th day is 4.48 crores; which with movie’s total collection till date in India becomes 52.39 crores. As per the performance showed by the Dil Dhadakne Do in India; is revealing that the movie will not perform like Tanu Weds Manu Returns but having caliber to be listed in the list of 2015’s top grosser movies. Tomorrow is the last easy day for the movie because the new awaited movie Hamari Adhuri Kahani is going to be released coming Friday, which will surely give heavy competition to Dil Dhadakne Do.